Staff from Huddersfield firm Reliance Precision swapped their comfy offices and factory floor for wild moorland and combats at the end of last week, in a special exercise run by the military. Four staff from the firm, ranging from junior to senior managers, took part with other organisations from across the region, in a demanding three-day course held at Catterick Military Training Area in North Yorkshire. 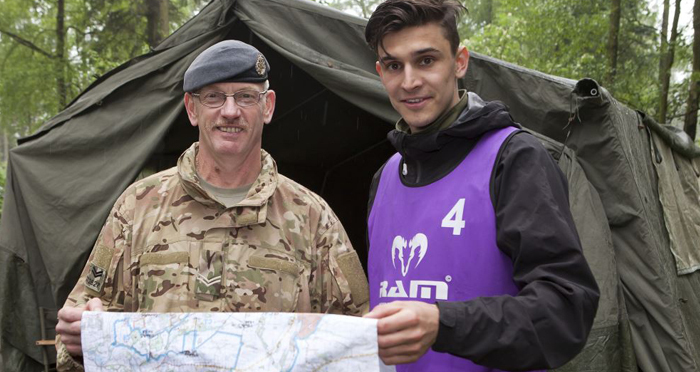 Designed to teach leadership and teamwork skills, the event involved working on a variety of challenging tasks ranging from launching a search and rescue mission for an RAF downed pilot, recovering a vehicle, evacuating a casualty and learning to cook in the field. The exercise, called ‘Executive Stretch’ was itself run by civilians, but who also serve as Reservists in the Navy, Marines, Army or RAF across Yorkshire and The Humber. The three-day course, organised by reserve unit the Queen’s Own Yeomanry, was designed to provide a unique opportunity for employees to enhance their personal leadership, teamwork and communication skills, as well as gain a valuable insight into the transferable skills that Reservists develop during similar training exercises. The Executive Stretch exercise saw over 100 staff from organisations across the region taking part, all of which were mixed up and split into eight teams before carrying out a range of tasks and missions.